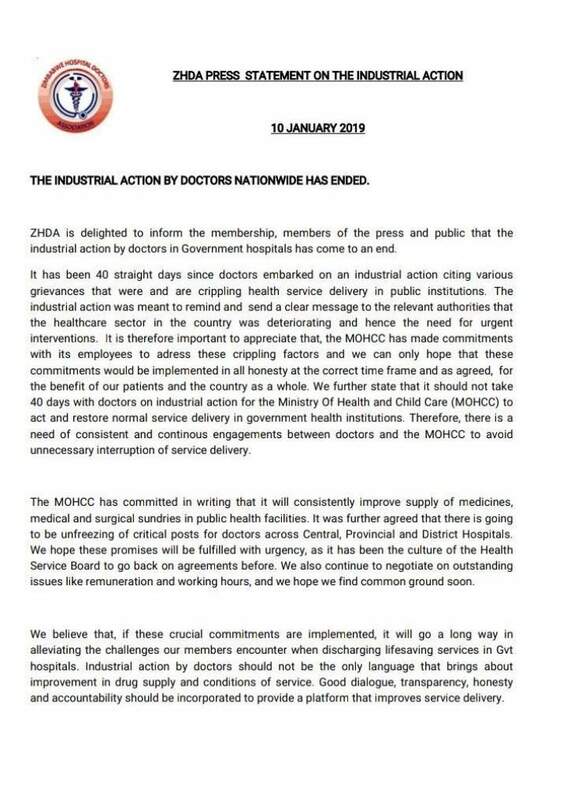 The Zimbabwe Hospital Doctors Association have announced that the industrial action that had been running for the past 40 days has come to an end. 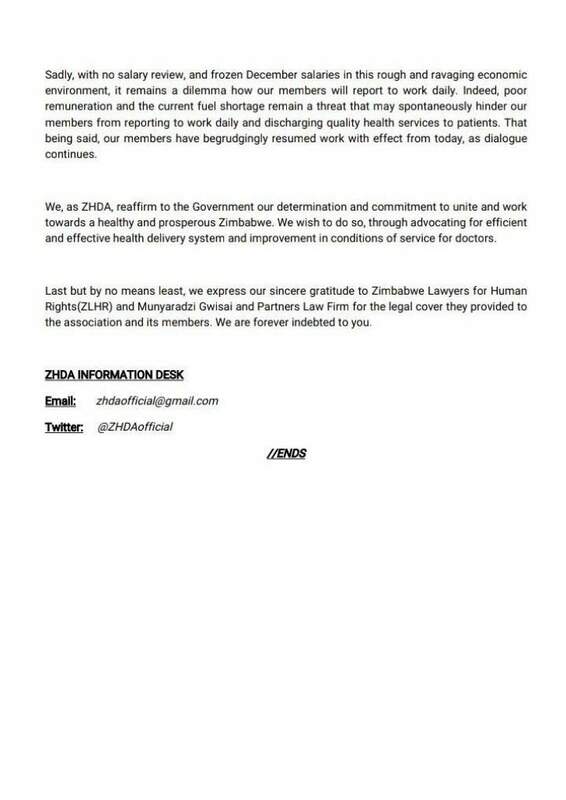 In a statement released on Thursday ZHDA said, "ZHDA is pleased to inform its membership, members of the press and public that the industrial action by doctors in Government hospitals has come to an end. "Sadly with no salary review, and frozen December salaries in this rough and ravaging economic environment, it remains a dilemma how our members will report to work daily. Indeed poor remuneration and the current fuel shortage remain a threat that may spontaneously hinder our members from reporting to work daily and discharging quality health service to patients. That being said, our members have begrudgingly resumed work with effect from today as dialogue continues." Doctors had been asking for salary review or to be paid in US Dollars. The government has refused to budge to their demands. Vice President Constantino Guvheya Dominic Nyikadzino Chiwenga wa deployed to deal with the negations but failed prompting First Lady Auxilia Mnangagwa to take over the process.